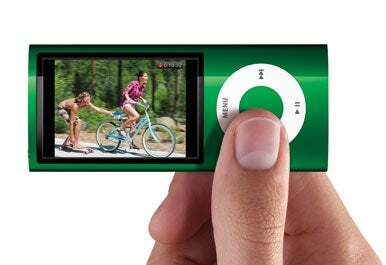 The iPod nano will now feature a built-in camera, as Apple updated its iPod line as part of a music-focused press event in San Francisco on Wednesday. The new iPod comes in 8GB and 16GB models, priced at $149 and $179, respectively. The music players now feature a video camera and microphone on the back of the device along with a built-in speaker. The nano can display video or sync it back to your computer for uploading to YouTube. According to Apple CEO Steve Jobs—making his first public appearance at an Apple event since returning from a six-month medical leave—the company added the camera to the nano line to capitalize on the popularity of pocket-sized flash-based video cameras. The nano was just one of the changes Apple introduced to its iPod line on Wednesday. 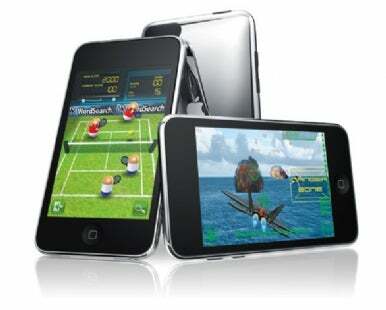 The company also cut the price on its entry-level 8GB iPod touch to $199; previously, that model sold for $229. In addition, Apple boosted the capacity on the touch to 64GB. The 32GB and 64GB models are now 50-percent faster and feature support for the Open GL|ES 2.0 graphics API. Despite speculation that Apple might discontinue the iPod classic—the last remaining hard drive-based device in its iPod line—that model remains with an expanded capacity. The iPod classic now features 160GB of storage at the same price as before, $249. 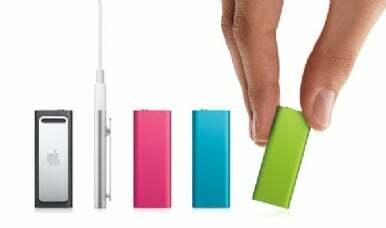 As for the iPod shuffle, it comes in new colors. The 2GB and 4GB models sell for $59 and $79, respectively; a special edition 4GB model made of stainless steel costs $99. iPod talk dominated the second half of Apple’s Wednesday event, but the company also had software news. A new version of the iTunes is now available, featuring Genius Mixes for creating recommended playlists of music and movies. Other features in iTunes 9 include Home Sharing, which brings iTunes synchronization to up to five authorized computers and a new interface for managing iPhone and iPod touch applications. iTunes 9 also introduces a number of improvements to Apple’s online iTunes Store, including new artist pages with more visual material added. Finally, Apple released a minor update to its iPhone software. iPhone 3.1 rolls out some bug fixes in addition to extending the Genius media-recommendation algorithm to recommend iPhone apps to users. The update also beefs up the iPhone OS’s ringtone capabilities.